Residents of Lindon City are served by our own Lindon City Police Department. Police Chief Josh Adams, Sergeant Joshua Edwards, Corporal David Welcker, Detective Marc Wright, Detective Matt Barlow, Detective Curtis Campbell, Officer John Lloyd, Officer Tony Weinmuller, Officer Jacob Simmons, Officer Jeremy Christensen, Officer Derek Clegg, Officer Orlando Ruiz, Officer Alex Winder, Officer Cody Sampson and Reserve Officer Travis Nye along with Administrative Professional Jen Wakeland, Records Clerk Barbara Allen, Front Desk Receptionist Taryn Christensen and Emergency Management Coordinator Kelly Johnson. 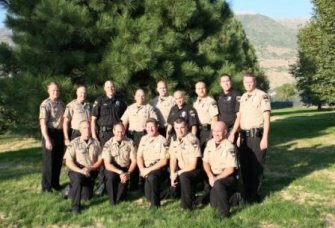 The Lindon City Police Department began serving Lindon residents full time on Tuesday, July 1, 2008. Lindon City has possession of 24 bicycles, ranging from kids to adult sizes, both with single and multiply gearing systems, 1 large electric scooter, 1 massage table, 1 residential safe, 1 backpack, 1 tent, jewelry, various yard tools, hand tools, keys, cell phones, I-pads, I-pods, wallets, gaming electronics, miscellaneous clothing, computer equipment, skateboards, auger bits and Cash. The state Department of Environmental Quality issued the dates when open burning is possible this year. They have also reminded us of the regulations which require completion and approval of an on-line permit application for anyone wanting to open-burn for any reason. Open burning is considered daily by the DEQ and is allowed only if the “Clearing Index” is high enough to allow it. Completed and approved permits must be on-site with the responsible person at the location of the open burn. Click here for open burn application. Click here for the DEQ (Dept. of Environmental Quality) website. Full time Fire and EMS service to Lindon City began on July 1, 2008. Personnel of the Orem Department of Public Safety provide full time response to Lindon residents & businesses from our own fire facilities located in the Public Safety Building at 90 N. State Street. The Firefighter/Paramedics responding from the Lindon fire station are highly trained professionals, with Advanced Cardiac Life Support (ACLS) capabilities. Three crews of firefighters are assigned full time to work from the Lindon station. 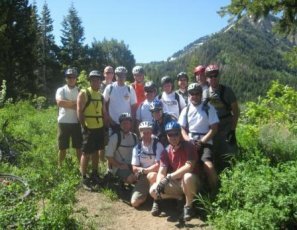 Lindon City benefits greatly from the high level of professionalism and additional man-power and equipment accessible to Lindon through our Fire/EMS service contract with Orem City. Because of a result of extreme fire danger along our mountain interface and our west wetland area, Lindon City has a permanent fireworks restriction in place (Resolution 2014-4-R). Please help us all to be safe and to protect our beautiful natural environment and watershed. Reference the maps below for exact boundaries. Fireworks are not allowed in all Lindon City Parks (signs will be posted)!